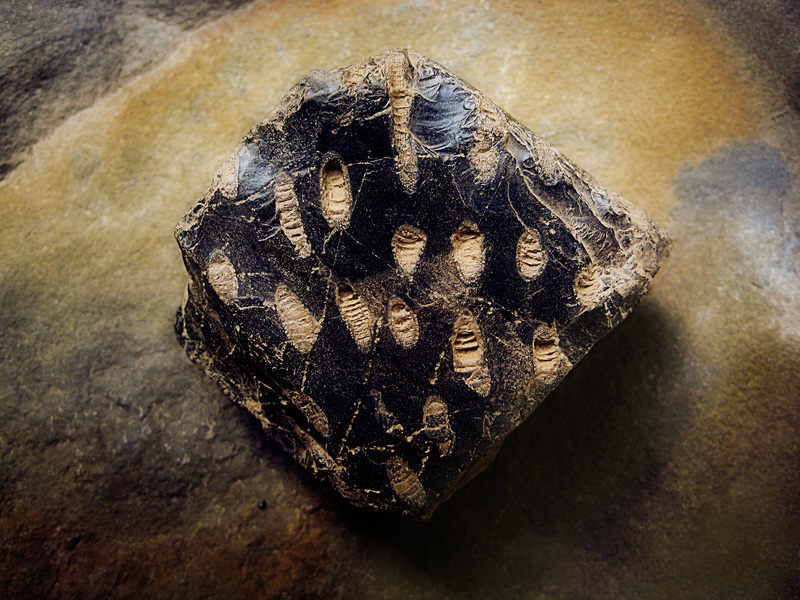 The Spring, 2012 issue of Kaatskill Life Magazine contains a feature article entitled “Art Murphy Unearths Ageless Beauty in His Photography.” It is a wonderful eight page spread of my fossil images accompanied by an interview conducted by Bob Titus (aka The Catskill Geologist). It is a consistently fine production available throughout the region. So please pick up a copy. Art Murphy is a photographer with a studio located on a picturesque country road close to High Falls, near Palenville. To visit him and enter his studio is to step into a snapshot of his life’s journey. Scattered about are abundant hints as to his very broad persona. There is, of course, the standard equipment of a modern photographer: the cameras, the computer to work with digital photographs and a massive printer for printing them. Scattered about are recent photographs. But there is more that indicates the diversity of his interests. There is a book about art and physics, another about the cranial nerves of the face, and another about physicist Richard Feynman. Then there are those hints that speak to what is most important to this current stage of his life’s journey: books about the invertebrate paleontology of New York State. 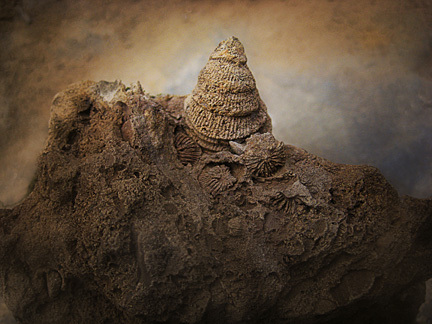 Today’s Art Murphy has developed considerable renown as a photographer of invertebrate fossils, most of them Devonian forms from near his studio. At the time of my visit, he was soon to take down an exhibit of these photos at the Museum of the Earth in Ithaca after a 3 1/2 month run. He has also exhibited at the Hall of Science in New York City and has plans for a potential exhibit at the Natural History Museum in Florence, Italy. How on earth had he arrived at this stage in his career? It turns out that his life’s journey might have taken him in any of many other directions. He started out college as an aeronautical engineer major at the Air Force Academy. He left the academy and switched to the study of painting before taking a job as a railroad engineer in the Colorado Rockies. Painting and photography in the American West was a natural pathway that he soon followed, but his focus veered more and more towards photography. He moved to New York City after being offered a staff position with an ad agency, and followed that up with developing an interesting and diverse client list as a freelancer. After 20 years, or so, of this, he shifted gears once again and found himself in the Hudson Valley. He occupied his studio seven or eight years ago, and then had a chance encounter which changed his directions still again. The studio is surrounded by black shale outcroppings of the lower Devonian Hamilton Group. 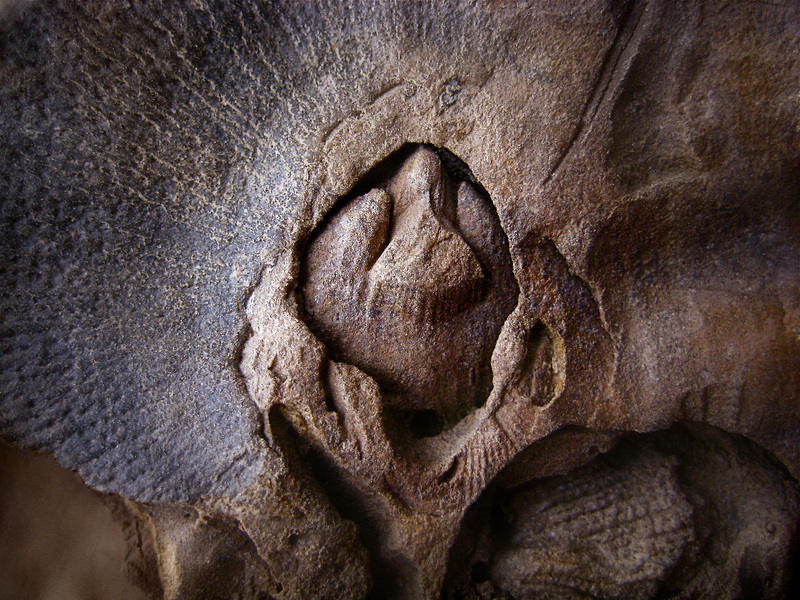 Those are marine deposits, formed at the bottom of the Catskill Sea, roughly 380 million years ago. 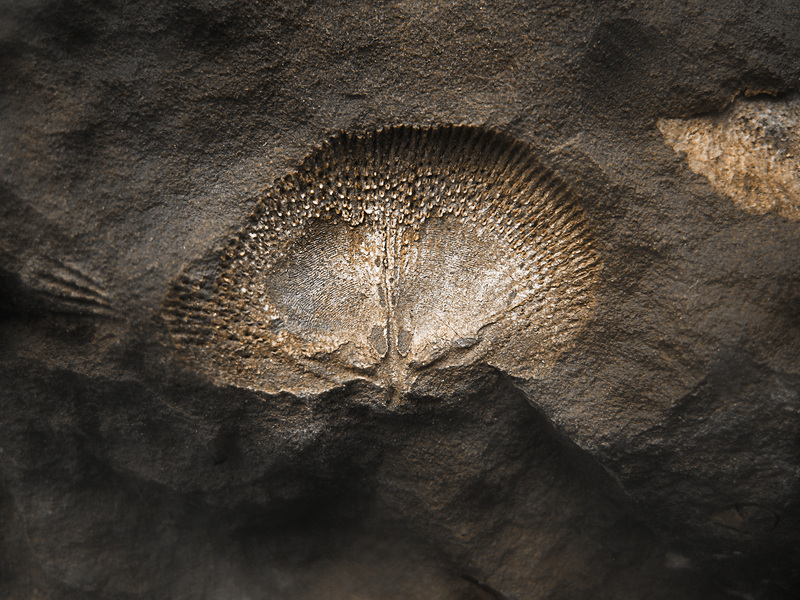 They can be some of most fossiliferous rocks in all of the Catskill sequence. 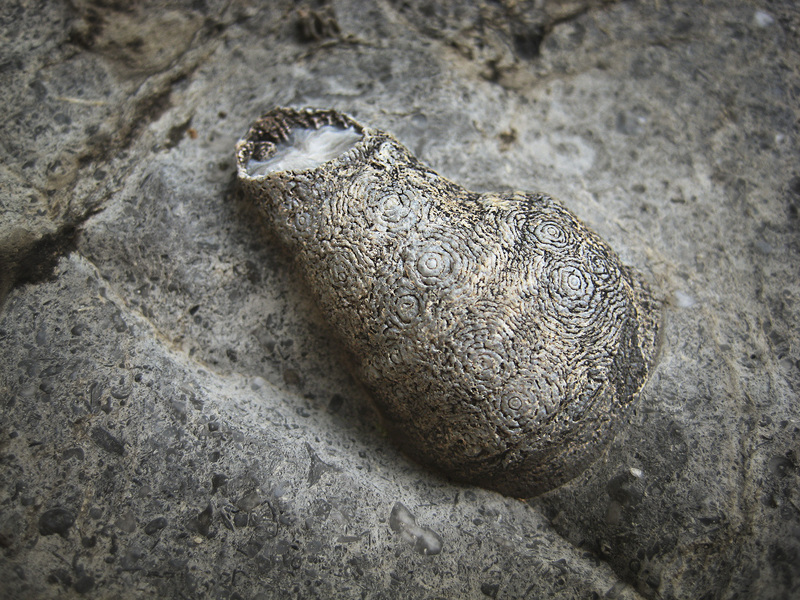 So it wasn’t long before Art noticed fossils, many of them, in the local outcrops and he set about photographing them. Art showed me some of his best finds and the photos he made from them. Few of them impressed me as being especially significant; they weren’t rare and many weren’t even very well preserved. I would not have bothered bringing many of them home, had I found them. They were simply commonplace. But that was not the point; it was art more than science that Art Murphy was searching for. 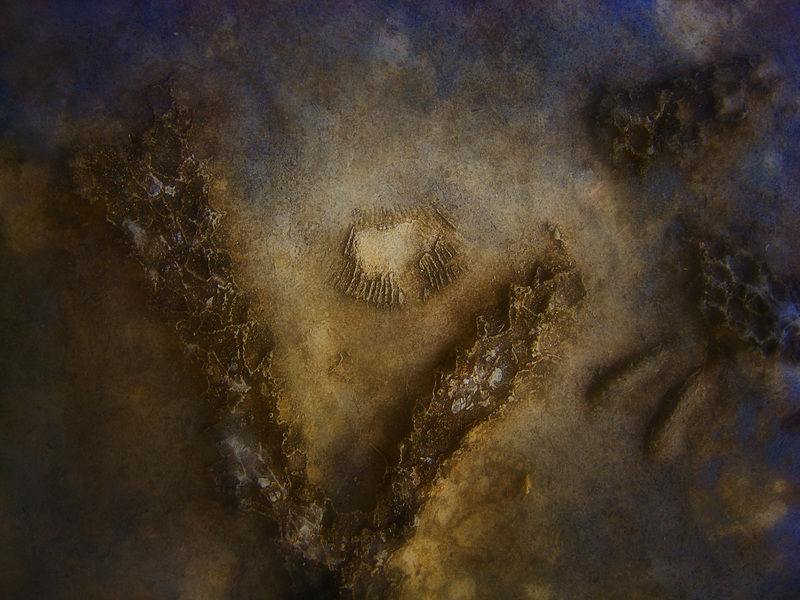 He put a small fossil coral in my hand and then showed me the raw photo he had made from it. Then, with his computer, he heightened the contrast and shifted the color and there before me was art. And that was what he was seeking to accomplish. 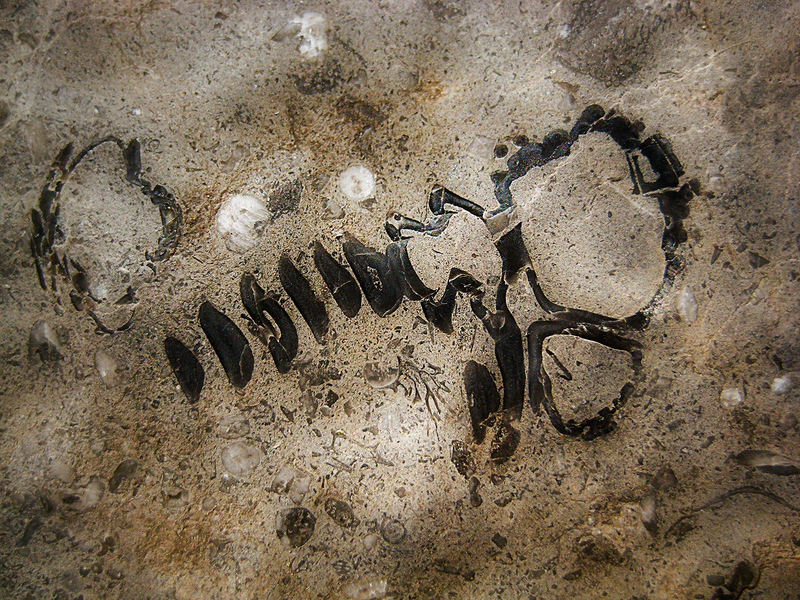 I, like so many other professional paleontologists, have photographed many fossils. We always search for clarity and detail in our black and white photos. Our work is pure science; it’s functional and little more. We work with only the most significant of specimens. Art is in a different sphere, working from a separate reference point. He is “painting” fossils with the camera and computer. He chooses the ones with the best aesthetics, not those of scientific importance. To the best of my knowledge, nobody else, anywhere, has been doing this sort of work.